What is the goal of the Winning Pitch Challenge? What are characteristics of the ideal candidate? Opportunity to win $10,000 1st Place or $5,000 2nd Place cash prize – no strings attached! How does the WPC Mentor Program work? What criteria are used by judges? How is The Winning Pitch Challenge live event structured? Will my idea be kept confidential? Any data or information discussed or divulged by entrants during The Winning Pitch Challenge event should be considered information that could possibly enter the public realm, and entrants should not assume any right of confidentiality in any data or information discussed, divulged, or presented in these sessions. Due to the nature of the competition, we are not able to ask judges, reviewers, staff, or the audience to agree to or sign non-disclosure statements. As a result, all data and other information submitted, discussed or otherwise disclosed by entrants during The Winning Pitch Challenge should be considered information that will enter the public realm, and entrants should not expect any right of confidentiality in any such data or information. All presentations are open to even attendees, and some presentations may be videotaped. May I submit more than one product idea? Yes! Submit as many ideas as you like, but no more than one qualifying submission will be advanced to final round. May I submit the same product idea to The Winning Pitch Challenge at ASRS and at ASCRS? Yes! If your idea has applications related to both posterior segment and anterior segment, feel free to submit to both competitions. Who produced your amazing promotional video?! 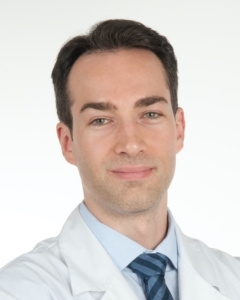 The promotional videos were created by Renaud Duval, MD, a vitreoretinal surgeon based in Montréal, Canada. Renaud combines his knowledge of the medical field with an interest in video editing and media technology to generate educational and promotional content under the label RDPROD. For any inquiries, please contact RDPROD media at rdprodmedia@gmail.com.